One of my favourite things about living in London is the many, many food markets! Whether you're visiting for a weekend or living here, going to as many markets as you possibly can is an absolute must. Here are some of my favourite markets and stalls. The walk along the canal to Broadway Market makes it a beautiful East London day out on a sunny Saturday. The street is lined with restaurants with outdoor seating so you can watch the world go by, and there's a vegan market just around the corner. All in all, one not to be missed. 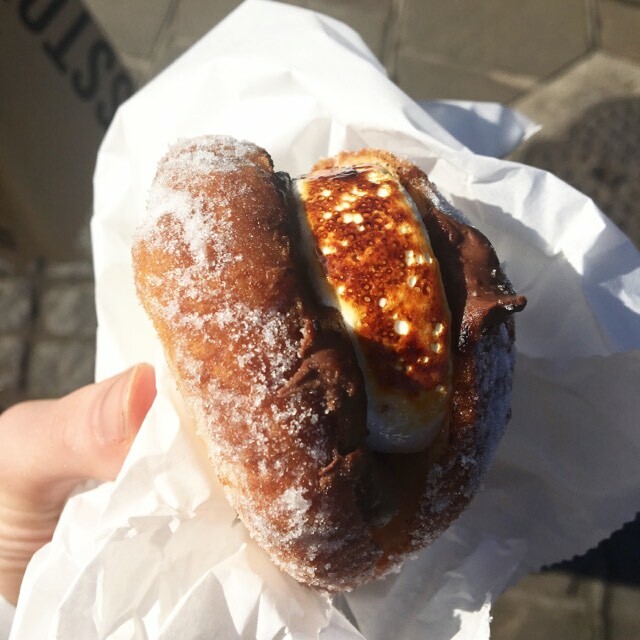 Home to the infamous s'mores doughnut, Floris Foods is an entirely gluten free stall selling delicious sweet treats like oreo cookie pies and the occasional savoury option too. Their doughnuts are the perfect fried, sugary doughnuts of gluten free dreams. A must visit! Another entirely gluten free stall, Eat'n'mess is home to another infamous s'mores creation, the s'mores cheesecake. They have so many amazing looking gluten free options including the most delicious cookies. 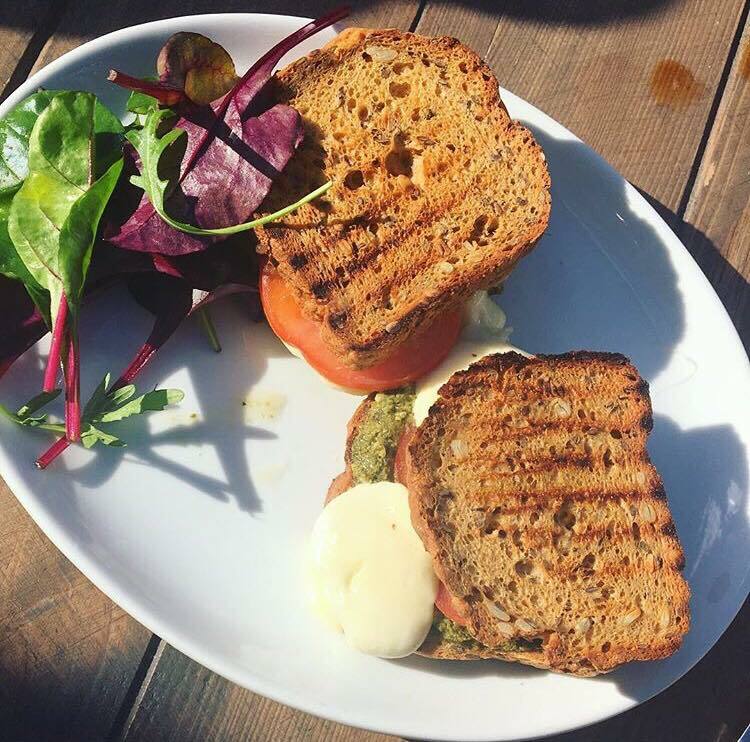 They also have a cafe in Sevenoaks, Kent serving delicious brunch and lunch. The Bach is a restaurant rather than a stall, but a great place to people watch. 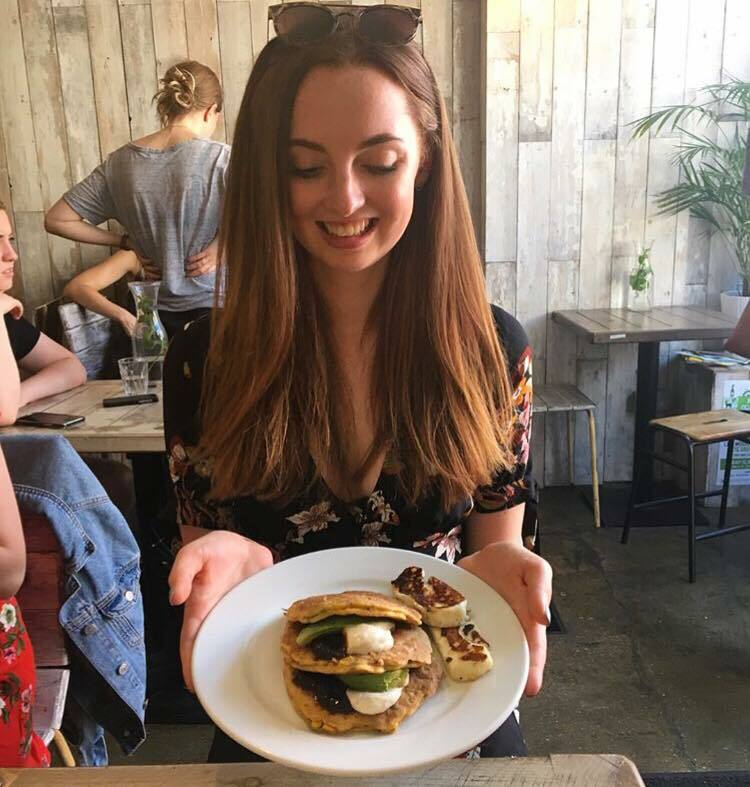 Almost all of the menu can be adapted to be gluten free, including amazing looking pancakes and yummy toasties. 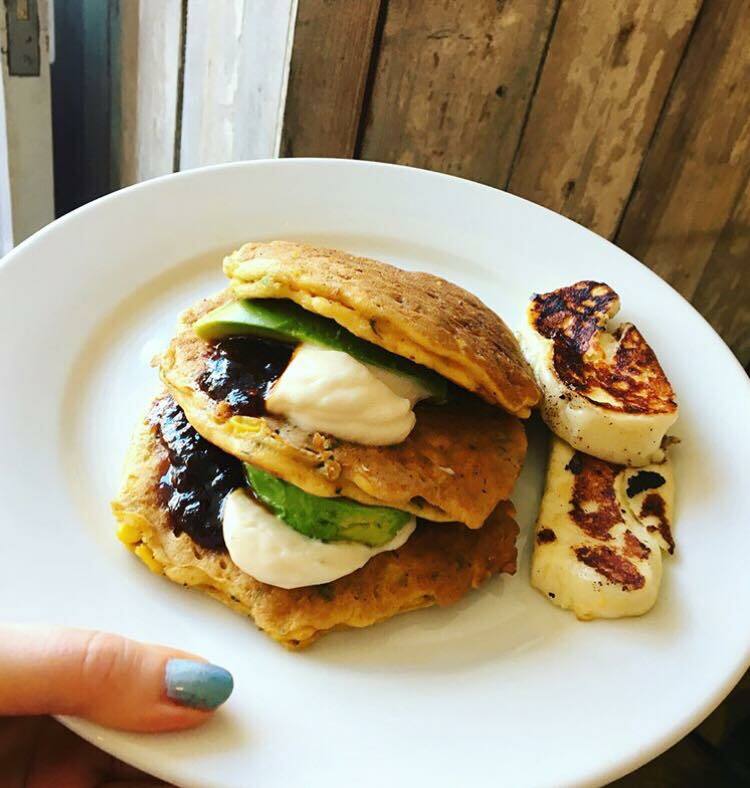 My favourite dish is the weekend special of sweetcorn fritters with chilli jam, aoili, avocado and halloumi, yum! Another restaurant - Bella Vita has a great outdoor seating area in the direct path of the sunlight. Perfect for even a sunny winter day. Their gluten free options aren't too varied, but they do have pasta and it's delicious. Not to be confused with Broadway market (I'm constantly telling people I'm going to the wrong one), Borough market is near London Bridge. Full market is on Wednesday to Saturday, with limited market on Mondays and Tuesdays. There's an amass of sweet and savoury options, and a wide variety of gluten free choice. An odd name, but nothing odd about the amazing food at Horn Ok Please. Everything is gluten free, and their Dosas are delicious. Dosas are savoury lentil pancakes, and I went for the spicy potatoes and Channa Chaat (chickpea) filling. Everything is veggie and can be made vegan! Ethiopian Flavours serves, unsurprisingly, Ethiopian food. It's so rich and full of flavour; with meat and vegetarian options. Almost everything is gluten free and the food is so unusual and tasty takes your taste buds on an adventure. The Free From Bakehouse has tons of gluten free treats. 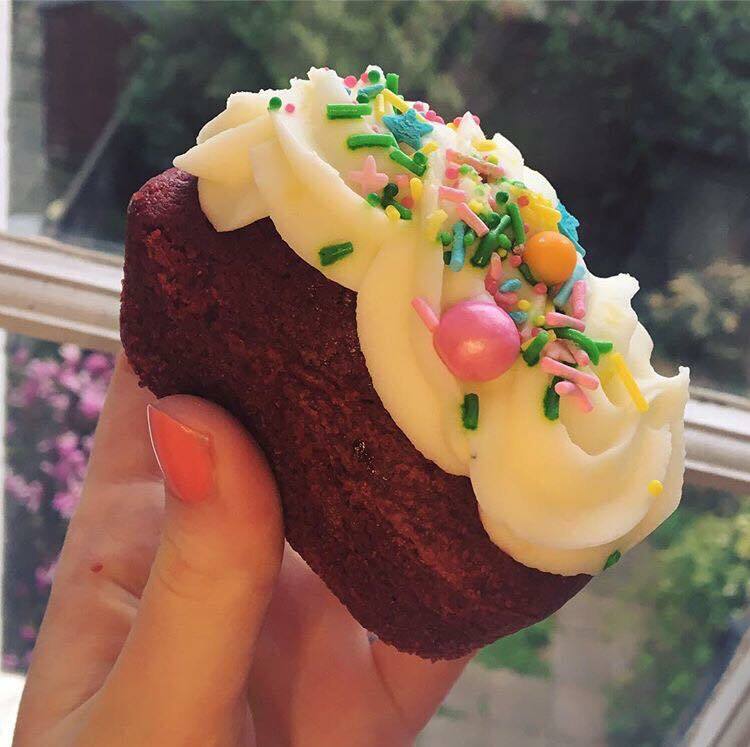 My personal fave are the red velvet cupcakes, but the brownies are also to die for! A great place to grab dessert after you've indulged in the savoury options. Greenwich is a stunning part of London which feels like a little town in itself, so it's worth the trip. The market is open 7 days a week, with different stalls each day. I'm a big fan of the Arts and Crafts market on a Sunday; the food stalls are there too of course. Another Ethiopian stall, but this time all vegetarian and vegan! Everything is gluten free if you have if with rice. It's subtly spicy and fully delicious, also a great hangover cure just FYI. 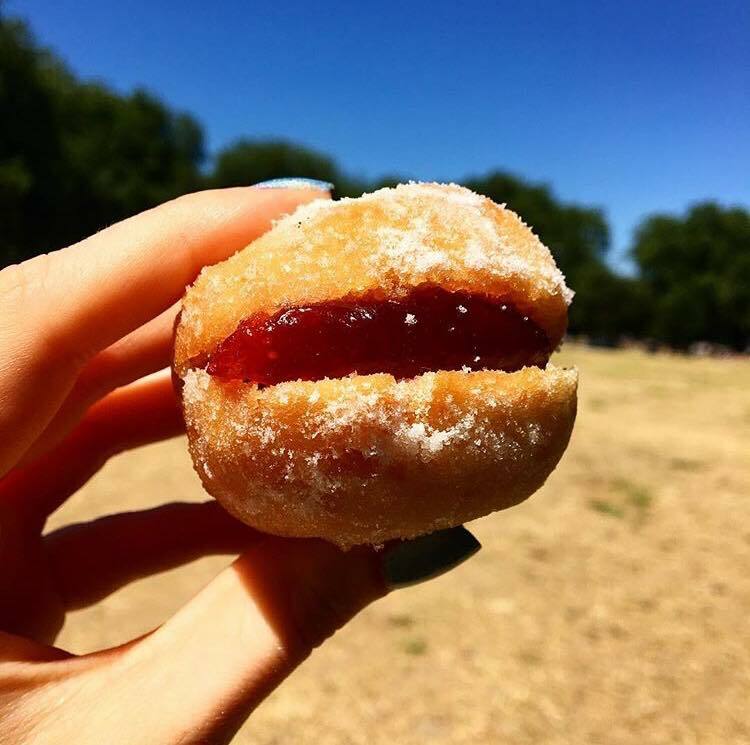 Home to gluten free and vegan doughnuts, a.k.a what dreams are made of. I'm so gutted that I don't have a picture to show you here because last time I went to Greenwich market Ruby's was having a day off. Nevertheless, I can still guarantee that it's worth the visit for amazing gluten free and vegan sweet treats. Spitalfields market is undercover, so great for a rainy day (or when it's snowing like it was when I went!). It's just around the corner from Brick Lane, so a great area to check out some quirky shops. The market has loads of cool arts and crafts, vintage finds, and of course food too. 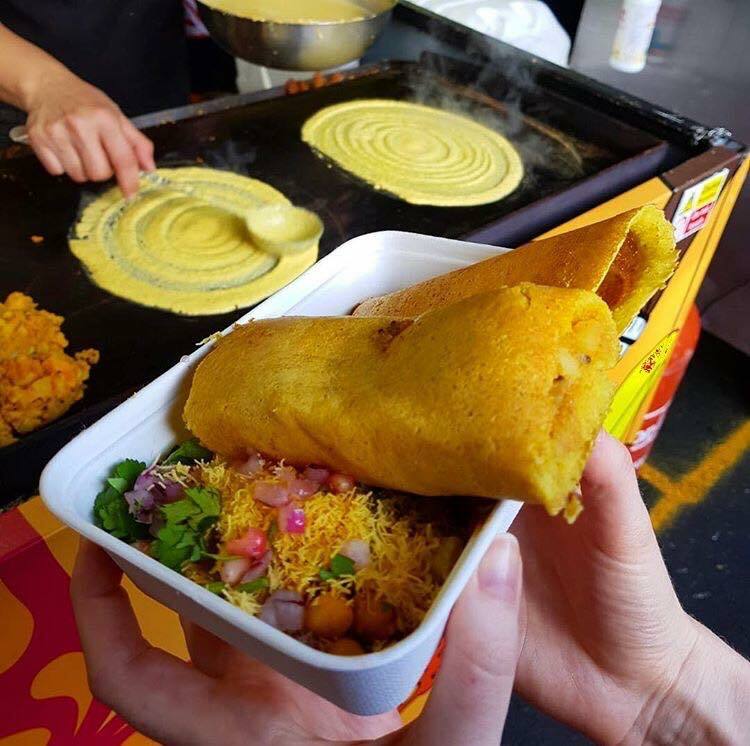 This amazing Indian street food stand has loads of gluten free and vegetarian options. They can't guarantee no cross contamination but the dishes are all kept very separate and very few of them contain any gluten. The food, like the channa masala (left) and veggie biryani (right) below is absolutely delicious! Yep, another Ethiopian food stall. I don't know why Ethiopian food is so common at London markets but I'm not complaining because it's delicious and often naturally gluten free! This stand is all vegan, and offers a 'gluten free plate'. I have many more markets to visit, so this post is frequently updated.